February 3rd is Super Bowl Sunday and if you’re going to be in Atlanta, you’ll want to make the most of all the festivities! Make sure you’ve got a place to party on the day of the big game. 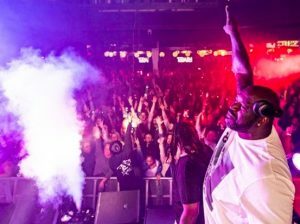 Whether you want to rub elbows with NFL stars, check out awesome live music, eat gourmet food, or just have access to an open bar for those critical hours leading up to kickoff, here are the best Super Bowl 53 Pregame Parties in Atlanta to help you maximize your weekend’s fun! 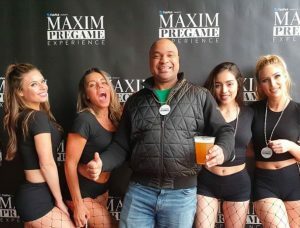 Maxim is possibly the biggest name in Super Bowl parties, and this year they’re hosting a pregame party of epic proportions! From noon to 5PM on game day, swap your usual tailgate for DJ entertainment, celebrity appearances, top-shelf open bars, and premium buffets. There will even be a DJ on the roof! Most exciting of all, DJ Snoopadelic, aka Snoop Dogg, is headlining the party and NFL superstar and sports analyst Deion Sanders is hosting! 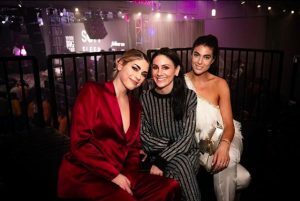 In the past, Maxim Experiences have attracted celebs like Lil’ Wayne, Ludacris, Kate Upton, Post Malone, Terrell Owens, Justin Bieber, Iggy Azalea, and many more. Presented by TickPick, the Maxim Pregame Party is one downtown affair you don’t need a Super Bowl ticket to attend. It’s happening at one of the biggest and best sports bars in Atlanta – STATS, a complex made up of STATS Brewpub, Max’s Coal Oven Pizzeria, and Twin Smokers BBQ – meaning there will be over 30,000 square feet of space to party. The buffets will feature food from each of the restaurants, including barbecue, prime rib, burgers, fried chicken, pizza, pasta, and Southern cuisine. Guests can also participate in a silent auction featuring fantastic sports memorabilia with proceeds going to benefit Warrior Rising and 22Kill, both nonprofits that support veterans. If you do have a ticket to the big game, you’ll only be four blocks away from Mercedes-Benz Stadium. Get your tickets here. Taking place at the Atlanta Hard Rock Cafe, this premium tailgate party will be hosted by none other than wrestling legend Ric Flair. There will be live entertainment, appearances by NFL stars, and the chance to take photos and snag autographs from celebs. To fill you up before the big game, you’ll get four hours of a gourmet buffet with all-you-can-eat food, top-shelf liquor, beer, and wine. The venue is walkable to Mercedes-Benz Stadium and the party will be happening between 1 and 5PM before the Super Bowl kicks off at 6:30 PM. Kids are welcome (though they won’t be served booze, obviously). Get tickets here. If you don’t have Super Bowl tickets, the party will continue with a cash bar and a la carte meals during the game. An annual affair hosted by celebrity chef Guy Fieri, you don’t need a Super Bowl ticket to attend this huge pregame party presented by the Bullseye Event Group. 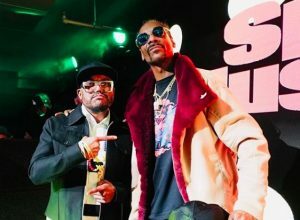 Rated one of the best events to attend on Super Bowl Sunday, this tailgate party attracts over 30 current NFL players along with celebs as well as regular fans. In the past, The Players Tailgate has boasted athlete attendees like Dak Prescott, Jalen Ramsey, Josh Norman, and Odell Beckham, Jr. ESPN’s Sage Steele will emcee and entertainment will be provided by DJ Irie. Along with food by famous chef and caterer Aaron May, Guy Fieri himself helps prepare some of the dishes! There will be several other celeb chefs and James Beard Award winners helping to create a ridiculous spread, like Michael Voltaggio, Jamie Bissonnette, and Thiago Silva. With your ticket, you’ll get access to a premium open bar and gourmet buffet. Expect award-winning barbecue, Korean fried chicken, prime rib sandwiches, a brunch bar, a fresh sushi and raw bar, and more. A portion of their proceeds goes to Operation BBQ Relief, a charity that provides funds to feed victims and emergency responders during natural disasters. Get tickets here. For a family-friendly atmosphere and the chance to spot NFL legends and get autographs, check out the Official 2019 NFL Tailgate Party. Under the big name brand of the National Football League, you’ll get to meet other fans and star athletes on the day of the game. With tailgate entertainment, an open bar, and premium food stations, it’s basically all you need to get ready for Super Bowl 53. We’re not sure who’s performing yet, but last year’s event saw performances by Sting, Shaggy, and Darius Rucker. Keep in mind you will need a ticket to the Super Bowl to attend this party. Get your NFL Tailgate Party tickets here. Don’t want to spend big bucks on a pregame party? Need a place to watch the game in Atlanta? Want to capitalize on Super Bowl drink specials, food, and live music around the city? There are tons of smaller parties happening in bars and restaurants all over town. Here’s a long list of other things happening on February 3rd in Atlanta, whether you want a pregame-style tailgate affair or a Super Bowl watch party at a bar. It’s not exactly a tailgate, but during the days leading up to the Super Bowl, you should definitely venture out to the Super Bowl Music Fest produced by On Location Experiences, the official hospitality partner of the NFL. It’s going to be packed with famous artists from Atlanta as well as other big names in music. 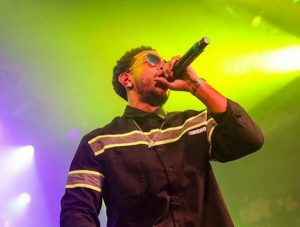 On Thursday, you can check out Ludacris, Migos, Lil Yachty, Lil Jon, and more. On Friday, Aerosmith and Post Malone will take the stage. And on Saturday, Super Bowl Eve, Bruno Mars and Cardi B will be getting the crowd hyped for the big game. Check out the full lineup and get tickets here. From January 26th until February 2nd, be sure to check out the free festival of concerts, activities, and food taking place in downtown Atlanta. As promised, Jermaine Dupri is putting on an exposé of Atlanta’s best in entertainment and culture to introduce fans to his city (and let locals join in the fun). Head down to the Fan Village in Centennial Olympic Park to see what’s on for the day. It’s got family-friendly activities so kids are welcome. Depending on which day you go, you’ll get to see artists like Goodie Mob, DJ Holiday, DJ Smurf, and the ATL Bass All Stars. You can view the details of Super Bowl LIVE here. Also included in this downtown fan hub of entertainment, you’ll find the Super Bowl Experience Driven by Hyundai, which is like an interactive NFL theme park. They’ve got immersive exhibits and games, the chance to get autographs from sports stars, an area where you can check out Super Bowl rings, and an opportunity to take a pic with the Vince Lombardi Trophy. Kids (and adults!) can even practice real-life NFL practice drills at the Combine Corner. And obviously, you can also buy lots of Super Bowl merch at the NFL Shop. Check it out at the Georgia World Congress downtown. Get your tickets here. Don’t have anything to do the night before Super Bowl 53? Round out your Atlanta experience with one of these epic Super Bowl parties. We’ve got tickets to Shaq’s Fun House and the Sports Illustrated Super Bowl Party. Headed to any Super Bowl pregame parties in Atlanta before the big game?